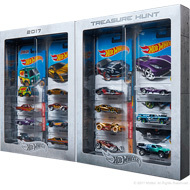 The 2018 boxed set includes all 15 Super Treasure Hunts. Each set is individually numbered and limited to 1,200. Vehicles are individually packaged and displayed in a fold-open window box. 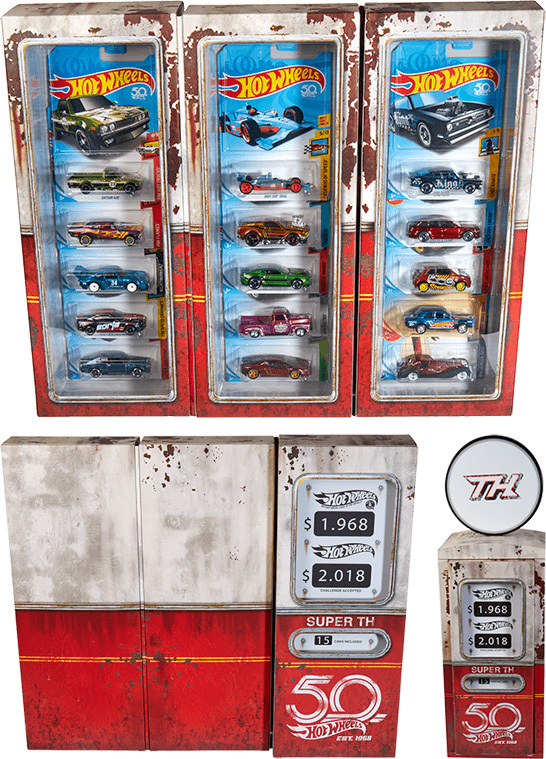 The box is designed to look like a vintage gas pump detailed with a Hot Wheels 50 logo and prices that display 1.968 and 2.018. The original retail price is $199 plus shipping & processing at hotwheelscollectors.com.